The completion of the Golden 1 Center in the heart of Downtown Sacramento has created a lot of excitement. All of us at Capital Sheet Metal share the delight in the revival of the area and are proud to be a part of the state of the art construction of the arena. 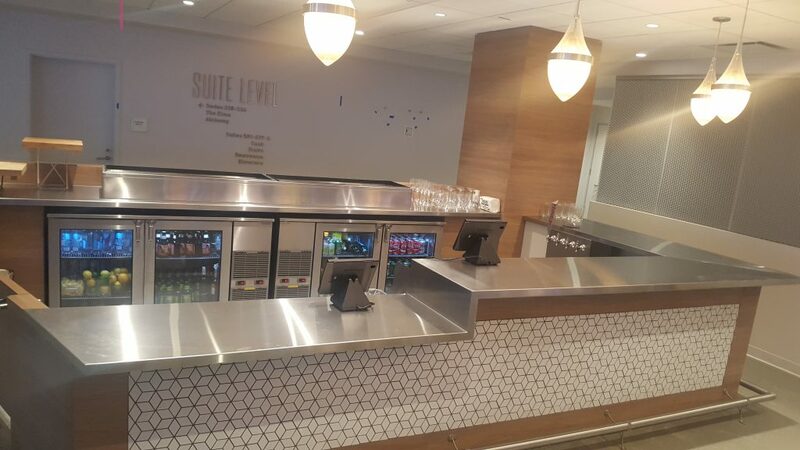 Capital Sheet Metal was awarded a contract to fabricate and install sixteen concession counters in 14 gauge stainless steel, as well as other custom stainless steel work through-out the center. The expansive counters are featured around the perimeter of the Golden 1 Center. 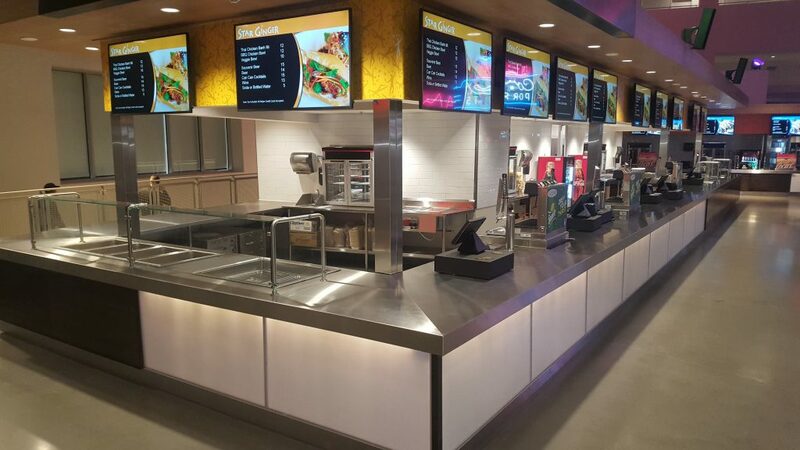 Each concession counter is different, with lengths up to forty feet long to accommodate the individual needs of the restaurant vendor. The “farm to court” catch phrase has been used to describe the mantra of the food culture at the Golden 1 Center. Our stainless steel counter-tops compliment the mission of sustainability highlighted throughout the center. In addition to the counter-tops, Capital Sheet Metal fabricated other custom stainless steel features. We fabricated and installed column covers around the concession area. We used our laser to fabricate custom stainless steel surrounds for screens on the concourse. Capital Sheet Metal used stainless steel to finish the toe-base around many areas of the center. The arena features many amenities of modern architecture and sustainability, including a LEED Platinum certification rating and farm to fork dining. The arena was designed by AECOM and Turner Construction was the General Contractor. Capital Sheet Metal is proud to be a local business working on sustainable projects like the Golden 1 Center and the revival of downtown Sacramento. We can not wait to watch the Kings hold court in downtown!